Google has finally released the beta version of Android P. The upcoming Android version comes with AI at its core and focuses on intelligent and simple experiences. The Android P beta is available for Pixel devices and some other flagships that support Project Treble. With the announcement of beta, Google has also introduced key features of Android P.
Google released Android P beta at the ongoing Google I/O 2018 couple of months after it released the first developer preview in March. The developer preview introduced several features of Android P such as Indoor Positioning with Wi-Fi RTT, Display notch support, Multi-camera support etc. Now, with the latest Beta update, more features and support for gestures are announced. 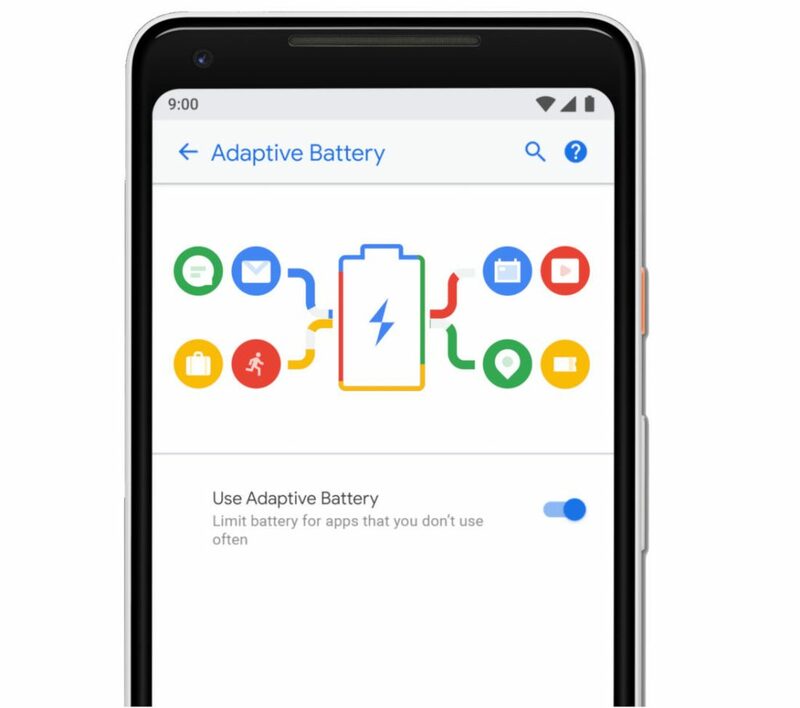 Let’s check out some of the top features of Android P.
The new Adaptive Battery feature limits battery usage for apps that you don’t use often. It is based on machine learning and optimizes how the apps use the battery. The feature puts running apps into groups with different restrictions using four new App Standby buckets ranging from active to rare, and apps not in the “active” bucket will have restrictions. It also brings machine learning to create Adaptive Brightness as well. Android P brings system navigation gestures that can be accessed from the home screen. The feature is useful for taller phones and makes one-handed usage comfortable. Now, with a clean home button, you can swipe up to see a newly designed overview. Here you can get full-screen previews of your recently used apps and you can just tap to jump back into one of them. App Actions is the feature that uses AI and helps how you get to your next task more quickly by predicting what you want to do. This feature puts app’s core capabilities as suggestions to handle their tasks, from key touch-points across the system like the Launcher, Google Search app, and the Assistant. For example, when you connect your headphones to your device, it will surface an action to resume your favorite playlist. Through Slices feature, apps provide remote content to the users and can surface rich, templated UI in Google Search and Assistant. These slices come with interactive support for actions, toggles, sliders, scrolling content etc. For example, if you search for “Lyft” in Google Search, you can see an interactive Slice that gives you the price and time for a trip to work, and you can quickly order the ride. 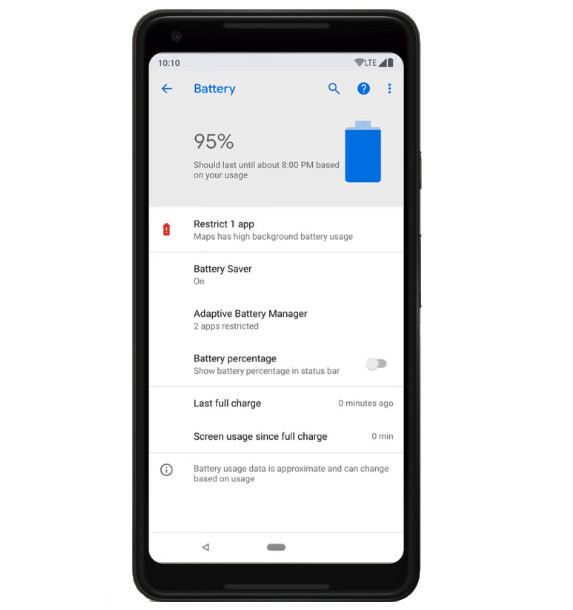 Google already said that Android P will improve Power efficiency and Background Limits to further improve battery life. 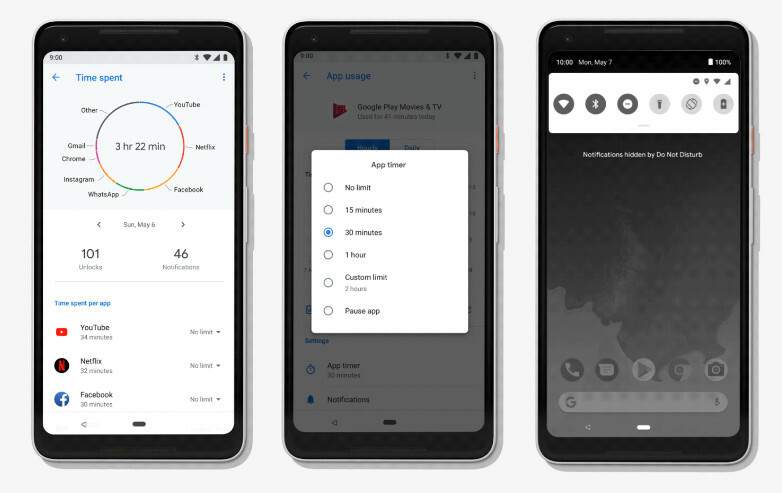 Now with Android P, it has made it simple for users to identify and manage apps that are using the battery in the background. With Android P, Battery Setting lists such apps and lets users restrict their background activities with just a single tap. When an app is restricted, its background jobs and network access are affected. Android P also brings a redesigned Quick Settings, a better way to take and edit screenshots, simplified volume controls, an easier way to manage notifications and Smart Replies. Other key features include- a new Dashboard that shows you how you’re spending time on your device, an App Timer that lets you set time limits on apps, a new Do Not Disturb mode and Wind Down that will switch on Night Light when it gets dark, and it will turn on Do Not Disturb and fade the screen at your chosen time. Android P Beta is now available for Pixel 2, Pixel 2 XL, Pixel, and Pixel XL smartphones. Also, as mentioned it is available for Sony Xperia XZ2, Xiaomi Mi Mix 2S, Nokia 7 Plus, Oppo R15 Pro, Vivo X21UD and X21, and Essential PH‑1. If you use any of these devices, you can get the beta version from android.com/beta.